2013 / 2014 / 2015 / 2016 / 2017 Ford Escape Forum > Vendors > CariD.com > Buy new CURT Hitch-Mounted Bike Rack for your Escape at CARiD - Get $25 back! CARiD.com is here with some great news on CURT products. 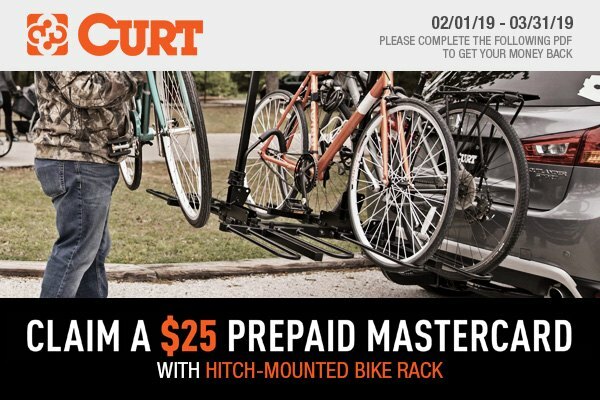 For a limited time, we welcome you to take advantage of our freshest promotional offer on CURT and get a new Hitch-Mounted Bike Rack for your Escape at a heavily reduced price.